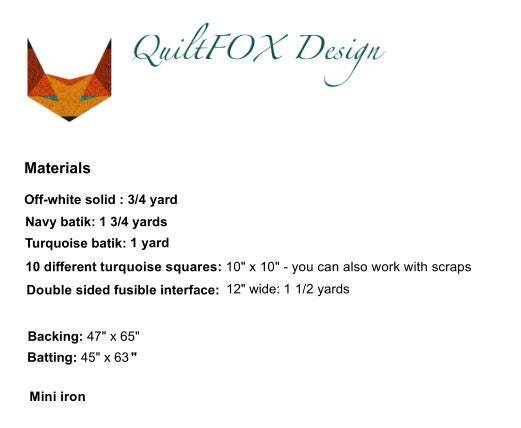 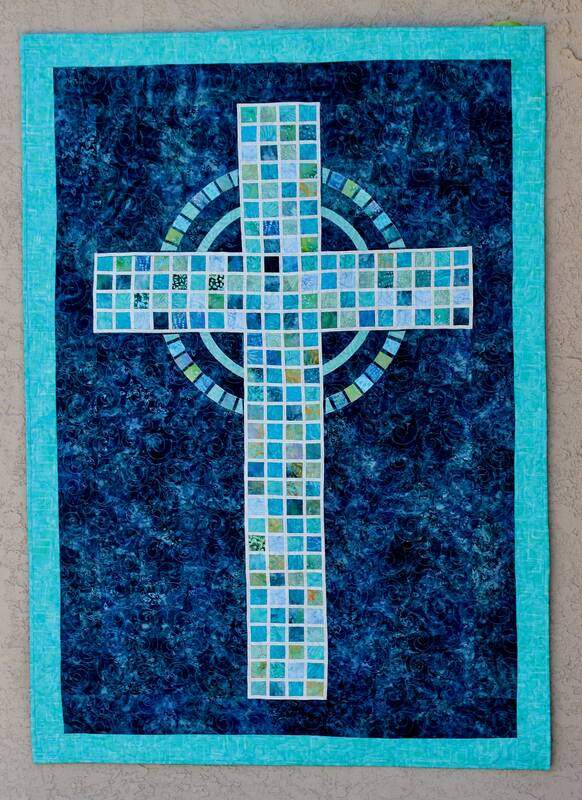 Mosaic Cross - PRINTED Pattern - Quilt Pattern - size: 41" x 59"
The Mosaic Cross is made with a simple technique, using fusible interface. 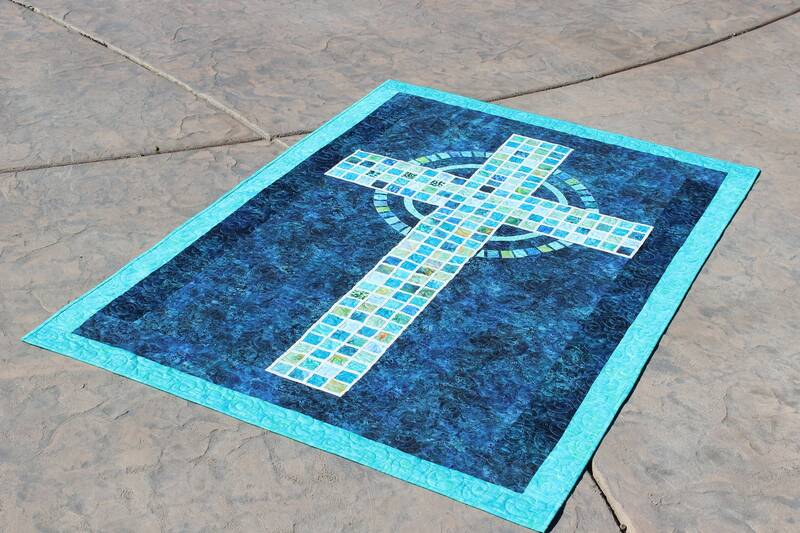 The placement of the squares and cross aura is guided with printable grid. 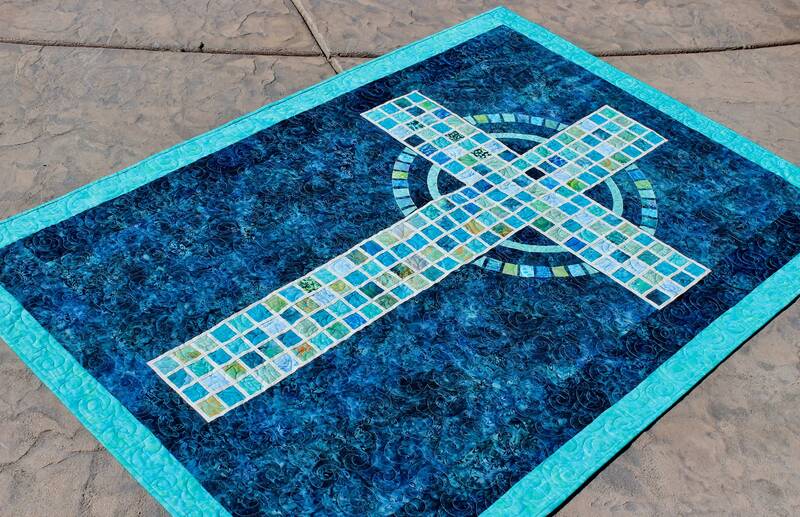 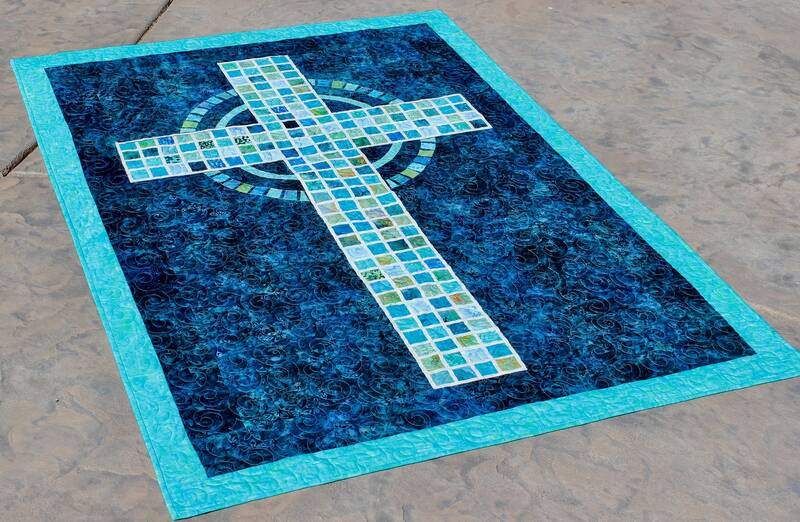 I choose turquoise color on navy background but you can use any color combination you like to make a gorgeous mosaic cross.